Why are nuclear plants so expensive? Mainly it's the cost of building one, with a recently cancelled Florida nuke plant exceeding $20 billion. Yet, once a nuke plant stops operating and must be decommissioned, another huge bill comes due. How big? In the case of Three Mile Island, current estimates are $950 million for just decommissioning the plant. That $950 million decommissioning bill is enough money to build a 1,000 megawatt natural gas plant or a 500 megawatt wind farm. It is a huge amount of money all by itself. Yet, it is just a small part of the total costs of building, running, and decommissioning a nuclear plant. The state of Vermont--its state government and grass-roots--has been trying for years to force the closure of Vermont Yankee nuclear station. The campaign to close the plant has been frustrated by federal courts and Entergy, the plant's owner, and so plant kept splitting the atom and producing power. But what Vermont's state government and its anti-nuclear campaigners could not do, shale gas and cheap gas has done. Cheap gas has slashed in half the price of wholesale electricity and made the plant uneconomic to run anymore. This tale has plenty of irony. For example, Vermont bans fracking, but it is shale gas that closed Vermont Yankee, the result that Vermont state government wanted but could not accomplish. Then the closing of Vermont Yankee means more natural gas will be consumed, and the demand for fracking goes up. The energy world is full of unintended consequences, paradoxes, and irony. Last week the feds indicted in Pittsburgh the founder of PA Cyber Charter School and charged that he and his accountant had stolen $8 million. Today, Philadelphia's City Paper reports that 18 charter schools have been investigated by the federal government for stealing or misusing taxpayer funds. Even as hundreds of millions of dollars go to failed and sometimes fraudulent charter schools, some politicians keep squeezing teachers for wage cuts and other givebacks. Even now, Philadelphia teachers have an average income that puts them in the bottom third of the 62 school districts in the Philadelphia region. Here is my statement calling for politicians to stop squeezing teachers and instead to cut the enormous waste or worse going on at failed charter schools. 71% of charters do not meet math or reading standards! Grover Norquist and Governor Corbett should take note. Oil and gas drilling taxes have established or are building huge "legacy funds"--from $3 billion to $45 billion--in North Dakota, Wyoming, New Mexico, Texas, and Alaska. Utah and West Virginia too are moving toward establishing their own. While energy taxes build powerful funds that finance education and better lives in states across our land, not so in Pennsylvania. Here, in America's second largest natural gas producing state, Governor Corbett stubbornly blocks a drilling tax. Internet ads boasting about job creation in the Corbett years of 2011 to 2013 continue to run. That's not a joke. The Governor, however, will discover in 2014 that facts are stubborn. To date, less jobs have been created in the first 30 months of the Corbett Administration than in the last 12 months of the Rendell Administration. Why are electricity utilities worried that solar will devour their business? Look no further than the Energy Information Administration's 2012 data for the number of homes enrolled in solar net metering. California residential customers are flocking to solar power and the net metering of their production. Already more than 1% of residential accounts or 150,952 homes in the Golden State are solar net metering. California accounts for 50% of the nation's 297,000 homes doing net metering. While solar net metering is soaring in California, Arizona, and Colorado, the solar net metering leader is Hawaii. An astonishing 5% of Hawaii's residential electricity accounts are solar net metering. Five of 100 homes in Hawaii are solar net metering; 1 out of 100 are in California, Colorado, Arizona; and 1 out of 445 homes are across America. These numbers matter now but are just the leading edge of solar storm heading toward the grid and energy markets. While solar and net metering began in California, it is not staying there and has exploded in Hawaii. In 2012, solar net metering grew in America by nearly 100,000 homes, with California responsible for adding 41,592. And while solar boomed in 2012 in homes, 2013 will be an even bigger year for solar installations at homes across America. The solar revolution is unstoppable and has just begun. Vermont Yankee nuclear station is closing in 2014. The official announcement was made yesterday. The announcement that Vermont Yankee will close makes 2013 a truly terrible year for nuclear power. Owners this year have announced the closing or closed a total of 5 nuclear plants--2 in California, 1 in Florida, and 1 in Wisconsin plus Vermont Yankee. That is nearly 5% of the US nuclear fleet. The closing of any nuclear plant makes cutting carbon emissions that much harder, because the nuclear output will be replaced by a mix of coal, natural gas, and renewable production. The end result is more carbon emissions as well as other air pollutants. Led by rapidly growing wind and solar, renewable energy resources produced 14.2% of America's electricity in the first 6 months, up from 13.57% in the same period during 2012. Hydro remains the single biggest source of renewable electricity, but wind is gaining rapidly on hydro power. Wind will surpass hydro power in the next 3 to 5 years to become America's largest source of green electricity. And as wind closes on hydro, renewable energy gains on nuclear power. Nuclear power generated 382 billion kilowatt-hours in the first half of 2013, while renewable energy generated 278 billion kilowatt-hours. Renewable energy generation plants and systems will close that gap certainly by 2020 and possibly by 2017. That's right. Renewable energy is grows steadily more powerful and will provide America more electricity than nuclear power in the next 4 to 7 years. It sounds too good to be true. A Swedish company, HydroInfra Technologies, claims it has invented a "hydrogen-nano gas" that neutralizes carbon dioxide emissions. Most things that sound too good to be true turn out to be exactly that. So, hydrogen-nano gas may be fiction and not fact. But I am hoping that this hydrogen-nano gas is fact or some other economic means of sequestering carbon dioxide can be developed in the next decade. Without an effective way of sequestering carbon sequestration, stopping concentrations of carbon dioxide from reaching a dangerous 500 parts per million is probably impossible. The winners in the 2013 power markets in the first 6 months are solar, wind, and coal. Solar is up 94.4%; wind is up 20.1%; and coal 10.3%. Those percentage increases, however, conceal an important fact. The amount of additional coal power in 2013 dwarfs the amount of combined additional wind and solar Coal has increased its output by 72 billion kilowatt-hours, while wind and solar have added 17 billion. The big loser in 2013 power markets is natural gas. Gas is down 13.7% or 81 billion kilowatt-hours. The big rise in coal, large fall in gas, and small boost in renewable production means that carbon emissions from electricity generation are going up in 2013. Nuclear production is up less than 1% and hydro, the biggest renewable energy power source by far, fell 2.6%. Biomass too is down 2.7%. Total generation is very slightly higher or basically unchanged in 2013 than in 2012. "The number of backlogged wells in Pennsylvania's Marcellus Shale grew even as the number of rigs working the play dropped, Barclays Bank said Friday, setting the stage of another year of explosive production growth." Pennsylvania is already likely to produce more than 3 trillion cubic feet in 2013, and its production surged 50% in the last year. Yet, with 1,500 backlogged wells getting ready to be connected, Pennsylvania's production may hit 4 trillion cubic feet for a 12 month period during the next 18 months. 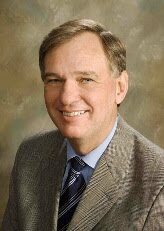 My energy plans are at www.hangerforgovernor.com, including my policies for world class gas drilling regulation and enforcement. In the first half of 2013, coal whipped natural gas in power generation markets. Coal generation is up 10% or 72 billion kilowatt-hours in the first 6 months of 2013, compared to the same period in 2012. Just 8 states generated less coal-fired electricity in the first half of 2013, while 40 states generated more. Vermont and Rhode Island have zero coal generation. Coal's gain is coming at the expense of natural gas. Natural gas generation is down 13.7% or 81 billion kwhs in the first half of 2013. All but 7 states generated less electricity with gas this year than in 2012. The rise in coal of 72 billion kilowatt-hours is almost matched by the decline of 81 billion kilowatt-hours of natural gas. Competition for sales remains intense between coal and gas. Sometimes facts are devastating. That's the case with Pennsylvania's plunging job creation rate. Pennsylvania created 87,300 jobs in 2010; 46,200 in 2011; 35,000 in 2012; and 5,400 in the first 6 months of 2013. In January 2011 Governor Corbett began his four-year term. To explain that awful trend, look no further than Governor Corbett's assault on education, neglect of transportation, refusal to take $4 billion per year for Medicaid expansion, and attacks on clean energy jobs in energy efficiency, wind, solar and more. To further explain that disastrous trend, look no further than the Governor's failed economic development strategy of relying on the gas industry to bring broad prosperity to Pennsylvanians. Five years ago, solar systems were built by people who cared not much or not at all about solar's high costs. Times have changed. Solar systems in Texas now provide 10 cents per kilowatt-hour power at a home or business and do so for the next 25 years. With a solar installation, Gordy said, a customer would be securing a rate of 10 cents per kilowatt-hour for the next 25 years. Twenty-five years is the warranty-backed period for solar-panels, though they will likely generate power for many years longer, he said. That's a business proposition and a good one that is available today. More impressively, prices for solar systems continue to decline significantly and is why distributed solar is now challenging central station power plants that deliver power through the grid. The Tesla Model S is one of a kind, as it both makes and rewrites automotive history. National Highway Transportation Safety Administration (NHTSA) testing awarded it an average of 5.4 stars--the highest total ever achieved by any vehicle. The Tesla Model S highest ever marks means that the car may be the safest ever put on the road. It also is fast, stylish, and fun to drive! All that adds up to a disruptive technology and product. No matter what else may be said about The University of Texas Arlington (UTA) study of gas drilling impacts on water well, I applaud the university for using its own funds to conduct the research. The UTA study looked at a total of 100 water wells in Texas, with 91 near gas drilling and 9 outside the area where gas drilling was taking place. The researchers also used historic water quality data. The researchers found worse water quality in the 91 water wells near gas drilling, including 29 that had arsenic levels above the safe level established by the Safe Drinking Water Act. Arsenic can be naturally occurring, but this study suggests that the gas drilling activity is associated with increasing arsenic leaching into waters in this area. The UTA study is suggestive but not conclusive as to the water wells and geology in that area. As the researchers said, more research should be done. Finally, customers of water companies or public water systems can rely on daily testing of their water to make sure it is safe to drink. But those who drink water from water wells--whether the well is near gas drilling or not--must test their water at least annually to make sure that it is safe to drink. Indeed, water is not safe to drink from far too many water wells across America and Pennsylvania, as a result of bacteria and other contaminants at levels that can cause illness. July brought more bad jobs news in Pennsylvania, even as Pennsylvania passed Louisiana in gas production to become the nation's second biggest gas producer. Pennsylvania's job struggles and gas production surge are both taking place at the same time, demonstrating that the gas industry cannot by itself bring broad prosperity to the Commonwealth. Indeed, no single industry can provide the 6.5 million jobs the state needs to be at full employment. 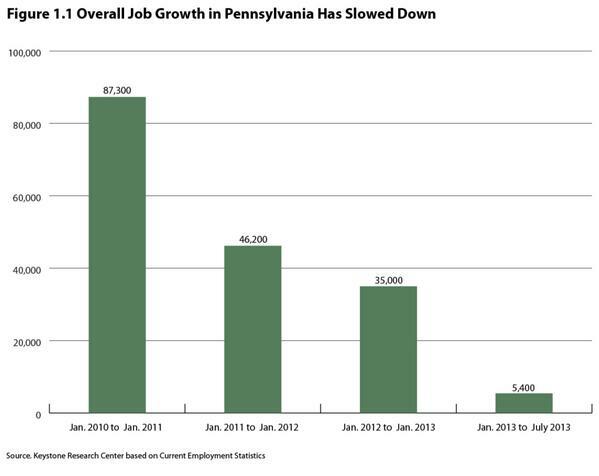 While America and 32 states added jobs in July, Pennsylvania did not but instead lost jobs--1,700 jobs. It is a fact that Pennsylvania has sunk from 7th in job creation in 2010 to now 49th for the period July, 2012 to July 2013. What makes this miserable job performance even more disturbing is that Governor Corbett believes--truly amazingly--that he is doing a good job. The Governor really is disconnected from the lives of most Pennsylvanians. As the sun came up today, the world had 110,000 megawatts of solar power operating, enough to supply 22 million American homes. Around the world and in America, solar is being installed faster than any other energy source. Indeed, most of today's solar has been built in the last 30 months. To be precise, 68% of the world's solar capacity has been built in the last 30 months. Solar's success rests on plunging costs that are down 60% or more since 2011. In turn, more installations lead to still lower costs. The global solar business gains momentum and builds volume everyday. As a result, the world will have more than 200,000 megawatts of solar within the next 30 months or double what it had this morning. Stunningly good news. John Hofmeister, the former President of Shell, should be applauded for delivering a message to the oil and gas industry that it does not want to hear. He is trying hard. Washington is pushing an anti-energy policy that is fitting for an industry that does a poor job communicating with Americans about the positive role its work has in people’s lives, a former Shell Oil executive said Tuesday. One reason some hate the oil industry is because it says false things like "Washington is pushing an anti-energy policy..." Ironically, this is a point that Hoffmeister himself understands, as I discuss later. Gas production set another record in 2012, and America is the world's largest natural gas producer. Domestic oil production is roaring above 7 million barrels per day and soon will stunningly be above 8 million barrels per day. Coal exports hit record levels in 2012. Wind generation is roaring. Solar generation is skyrocketing. Bio-diesel production has just set a new monthly record. Energy efficiency products and services are expanding. Times have rarely been better in America's diverse energy business! But Hoffmeister and nearly the entire oil and gas industry loves to bash the federal government and President Obama. Given roaring oil and gas production, I wonder why the language from Hoffmeister and others is so scalding. As an example, Hofmeister said, some industry leaders have suggested that the fracking boom has never caused water pollution. But while the vast majority of wells don’t cause problems, “everybody knows that some wells go bad,” Hofmeister said. The single biggest reason why so many people across America have lost confidence in gas drilling is that oil and gas companies have refused consistently to admit mistakes and just fix them. Within too much of the industry, the order of the day has been denial, litigation, and then sealed court records with confidentiality agreements. The obvious result of this lack of transparency is collapsing public confidence. Distributed solar (not including utility scale solar projects) in the USA is scorching hot and will soon account for more than 1% of all electric capacity in the USA. Solar at homes and businesses or distributed solar will jump from about 5,000 megawatts to 13,000 megawatts in the next 30 months. Again, these numbers don't include utility scale solar. Here is the chart that displays the scorching hot installation rate of distributed solar across America. Pennsylvania will likely end 2013 as America's second biggest natural gas producing state. That's the stunning conclusion one reaches assuming Pennsylvania's production reaches 3.2 trillion cubic feet this year. In 2012, Louisiana ranked second and produced almost exactly 3 trillion cubic feet. Louisiana's 2012 production was just slightly less than its 2011 output, and it is not likely that Louisiana will produce 3.2 trillion cubic feet in 2013. The top gas producing state remains Texas that produces 7 trillion cubic feet. Pennsylvania's gas production was just 182 billion cubic feet in 2007 and will have increased approximately 17 times or 1,600% by the end of this year. Pennsylvania's production is skyrocketing 50% this year and will be 13% of America's gas in 2013. Jimmy Carter put them up. Ronald Reagan took them down in 1986. Now 27 years later, Barack Obama is putting solar panels again on the White House, according to the Washington Post. As solar is installed on the White House itself once again, more than 10,000 megawatts of solar is operating around the country, producing enough power to supply about 1.7 million homes. The White House solar system will be just part of a record year for solar installations, as solar is booming this year to the point where electric utilities are worrying about the loss of sales. The Post's article has no detail on the size of the system, the installer, or manufacturer of the equipment but does say that the work is now underway. It reminds that George W. Bush also installed solar PV on a maintenance building at the White House and solar thermal. Indeed, George W. Bush also had an excellent record on wind in Texas as Governor and established that it was the goal of the United States to get 20% of its electricity from wind. While today's Republican party is much less supportive of renewable energy than it was as recently as the presidency of George W. Bush, I will predict that the solar panels that Barack Obama puts on the White House will not come down, no matter who wins the 2016 election. Pennsylvania's gas production in 2013 is skyrocketing off the proverbial charts. According to the Washington Post, Pennsylvania production is up 50% and will reach a stunning 3.2 trillion cubic feet. Since US gas production hit 24 trillion cubic feet in 2012, Pennsylvania will produce about 13% of all of America's natural gas this year, if it produces 3.2 trillion cubic feet. In 2011 and 2012 there was a highly publicized debate over the potential of the Marcellus Shale, with some contending that the industry had exaggerated the numbers. But the actual production figures have mostly put that debate to rest. With already the nation's worst bridges and roads, Pennsylvania is falling behind in another critical piece of infrastructure--alternative fueling stations. As states like California and Texas charge ahead, Pennsylvania is now a laggard in the number of electric vehicle, natural gas, and bio-diesel fueling stations that are open to the public. This emerging alternative fueling infrastructure gap means Pennsylvania's families and businesses increasingly are at competitive disadvantage. The lack of alternative fueling stations means that Pennsylvanians must use vehicles that run on expensive gasoline, while in California, Texas, Washington, Oregon and other states cheaper electricity or natural gas vehicles are becoming a practical choice for the motoring public as more and more alternative fueling stations open. Here are the devastating alternative fueling infrastructure numbers for Pennsylvania. We have just 281 of 18,524 public electric vehicle charging outlets; 44 of 1240 CNG stations; and 7 of 740 bio-diesel stations. By contrast, California has 4,778 public electric charging outlets; Texas 1,583; and New York 620. Those driving on electricity are paying the equivalent of $1.14 per gallon. In terms of CNG fueling stations, California, Texas, and even New York, where there is a moratorium on shale gas production, are all far ahead of Pennsylvania's pathetic 44. California has 253, New York 110, and Texas 62. This week natural gas has cost as little as $1.50 per gallon. The states that first create an effective alternative fueling infrastructure that free their families and businesses from expensive gasoline will have a large competitive advantage over those states that do not. Gasoline costs often consume 5% to 10% of the after tax income of median income families, but natural gas and electricity can slash those costs by 50% or more. In the coming decade, states will win or lose jobs in part by whether or not they are first to create a true public alternative fueling infrastructure for their families and business. Though Pennsylvania ranks third in gas production, exports large amounts of electricity, and is a top bio-diesel producer, Pennsylvania already is behind in that race and will be victimized by a growing alternative fueling infrastructure gap. Driving on electricity costs on average the equivalent of $1.14 per gallon. The fuel savings are huge, if one can readily charge an electric vehicle on our public roads. In California, Washington, Oregon, Texas, New York, public electric charging outlets are being installed, as those states race to gain the competitive advantage that goes to the states that first have comprehensive alternative fueling infrastructure. Across America, 18,524 electric vehicle charging outlets are now open. Of America's total, a pathetic 281 charging stations are open in Pennsylvania. Pennsylvania lags way behind in the race to get off expensive oil, putting its families and businesses at a rapidly growing competitive disadvantage with those states that are moving to electricity, natural gas, and bio-diesel for transportation. I am not sure what is more pathetic. Is it that the USA, the world's number 1 natural gas producer, has a pitiful 1,240 natural gas fueling stations? Or is it that Pennsylvania has just 44 of that ridiculous total? Yesterday, natural gas was being sold for the equivalent of $1.50 to $2.20 per gallon in the few natural gas fueling stations that are open to the public. With natural gas prices like that available, the motoring public is being ripped off every time they fill up with gasoline. For example, I paid last night $3.47 in Pennsylvania for dirtier gasoline. America and Pennsylvania, the third biggest natural gas producing state, remain hooked to more expensive, dirtier oil. And that is not accidental. Our addiction is maintained by sustained opposition to moving vehicles from oil to alternative transportation fuels by interests like Exxon as well as neglect or incompetence by politicians like Pennsylvania Governor Corbett. The opposition, neglect, and incompetence means today about 1 in a thousand vehicles in the USA will run on a fuel other than oil. Though natural gas is much cheaper than gasoline, electricity is cheaper still. Indeed, running on electricity costs the equivalent of about $1.14 per gallon. American companies and families are paying 50% to 200% more for every gallon of fuel than they should be, if federal and state governments had acted to build the alternative fueling infrastructure that would free us all from oil's monopoly. My plan to build electric charging and natural gas fueling stations within 5 miles of every Pennsylvanian by 2023 would save many families up to $2,000 per year. It would deliver the equivalent of a substantial tax cut to companies and families who could use natural gas or electric vehicles to travel anywhere in the Commonwealth. Gas drilling and the role of gas production in Pennsylvania is emerging as a major issue in the Pennsylvania election for Governor. The public has loss confidence in Governor Corbett's willingness and ability to regulate and tax the gas industry. Indeed, the meltdown in public confidence is shocking. My campaign is committed to "Policy First, Politics Second" and that means providing details to voters before the election, not after. In Vermont, attacks are slowing its deployment, with the Governor warning the state's efforts to reduce carbon pollution is harmed. In Massachusetts, the loudest voices in opposition to wind power have come from the Libertarian Koch brothers and local environmental advocates. Indeed, New England remains the eye of the storm for attacks by environmentalists on wind power. While environmental attacks on wind are particularly virulent in New England, they have been launched in New York, Maryland and other states. For example, over the last 14 years, I have battled similar opposition to many of the 24 operating wind farms in Pennsylvania. So, are the environmental attacks on wind batty? They are wrong and misguided, even though some points made against wind have merit. Wind does require major construction, clearing of land, and often felling of trees. Wind does change view sheds and wind turbines are not completely silent. And each wind turbine on average will kill a small number of birds and bats, many less than cats, or buildings, or cars, but more than none. The environmental opponents of wind have some facts on their side, but their passion causes at times an exaggeration of wind's shortcomings and impacts. No doubt, they are passionately opposed to wind in the name of the environment. Yet, their passion can cause more environmental harm than benefit because of the harsh realities of our often ugly energy choices. Wind opponents refuse to look at energy tradeoffs that are a difficult fact of life. What happens every time a single wind turbine is stopped that could generate perhaps 5 million kilowatt-hours each year? Something else takes the place of each turbine delayed or stopped. And it is likely coal or gas generation fills the power vacuum, and that result is a loss for the environment. Burning coal releases mercury, soot, lead, arsenic, and many other pollutants. It causes also substantial pollution of water. Gas emits no mercury, lead, arsenic, soot, but its environmental footprint is bigger than that of wind. All energy choices have bigger or lesser impacts. When sources like wind with low impacts are stopped, sources of energy with bigger environmental impacts take its place. The local area where wind was stopped will be preserved, but the regional and global environment harmed. That is the ugly truth. It was the era of plunging US carbon emissions--2007 to 2012--when emissions plunged from 6.02 to 5.29 billion tons. Just in 2012, carbon emissions fell an amazing 3.9%. But the era of plunging emissions is over, at least temporarily so. U.S. Energy‐Related Carbon Dioxide Emissions. EIA estimates that carbon dioxide emissions from fossil fuels declined by 3.9 percent in 2012, and projects increases of 2.4 percent in 2013 and 0.3 percent in 2014. The increase in emissions over the forecast period primarily reflects the projected increase in coal use for electricity generation, especially in 2013 as it rebounds from the 2012 decline. Given actual emissions in the first 4 months of 2013, the EIA 2.4% might be the best case scenario. Indeed, 2013 emissions are up 4% in the first 4 months, when compared to the same period in 2012. Emissions from coal are up 11%, as coal-fired electricity is recovering market share. Emissions from natural gas are up nearly 6% too, as America used more gas to stay warm in the first 4 months of 2013 than in 2012, when temperatures hit all-time record highs in much of the country. So far, emissions from oil are the only small bright spot--down about 0.5%. If emissions increase 4% this year, total energy related emissions would jump from 5.29 billion tons to more than 5.5 million tons--a substantial move in the wrong direction. Is there any good news in the 2013 carbon data? While 2013 carbon emissions to date are significantly above 2012 levels, they do remain slightly below 2011 levels. Researchers working for the National Institute of Occupational Safety and Health published a study with disturbing findings concerning silica levels at drilling sites and workers' exposure. "At each of the 11 sites, full-shift samples exceeded occupational health criteria (e.g., the Occupational Safety and Health Administration calculated permissible exposure limit, the NIOSH recommended exposure limit, or the ACGIH threshold limit value), in some cases, by 10 or more times the occupational health criteria. Based on these evaluations, an occupational health hazard was determined to exist for workplace exposures to crystalline silica." The bill for climate change is coming due and already is billions of dollars just in the Garden State. Highlands is a small, New Jersey shore town that was inundated by Sandy and where property is now worth a total of $500 million. That is if it can remain above water and dry. But Sandy drove home the perils of warming, rising seas to the residents of Highlands and now Mayor Nolan is supporting a massive project to raise the entire town by 11 feet at the cost of $200 million. In the mind of the Mayor, the math is simple. Spend $200 million to protect $500 million. Each year the property taxes in Highlands total about $15 million so the entire $200 million bill is beyond the ability of those in town to pay, and so, Highlands seeks to convince the Corps of Engineers to help pay for the elevation project. The bill for climate change is coming due across America. In Highlands, the questions become, is it worth spending $200 million to raise the city 11 feet to protect $500 million of private property? If so, who will pay it? Property owners or taxpayers or both? Then there is the really depressing question: will 11 feet elevation protect Highlands? If global carbon concentrations are stabilized below catastrophic levels, 11 feet would be enough. But current emission levels and the rate of annual increase that is taking place would push atmospheric carbon concentration levels to points where seas will rise more than 11 feet. The bill for climate change is coming due and it is massively expensive already! For economic reasons alone, we must act! Climate has warmed and cooled over the history of the earth. Yet, the current warming is now 10 times faster than anytime in the last 65 million years, according to a study published in Science. "An increase in global temperatures of just 1.5 Celsius degrees by 2100 would mean a pace of climate change that's 10 times faster than anything seen since the dinosaurs' extinction -- and that's with "aggressive mitigation efforts" (i.e., major efforts to reduce greenhouse gas emissions) of the kind that the world's industrialized nations so far have shown little willingness to undertake. But a rise of 5 to 6 Celsius degrees would mean a warming pace that's 50 to 100 times faster than any seen in the past 65 million years, ClimateWire explains." Bloomberg wrote this week another coal-is-doomed story, triggered by decisions by the World Bank and European Investment Blank to not fund coal plants. Yet, somehow coal consumption goes up! To give Bloomberg credit, buried deep in its story, one finds this fact: "Coal is now used to generate 40 percent of the world’s electricity, and its use has grown more than 50 percent in the past decade, according to EIA." Despite the rash of stories that coal is doomed, data show that coal is thriving globally. In fact, these are happy days for coal in China, India, even Germany, just about everywhere except for the USA. Outside the USA, coal is benefitting from expensive natural gas, expensive oil, expensive nuclear power, and rapidly growing energy demand. Only in the USA is coal facing competition from cheap gas, a fuel that can destroy quickly coal usage, when the price of gas is competitive. But gas is not competitive with coal in Europe or Asia and so coal booms. Around the world and in America, renewables are growing rapidly. But fast growing renewables generally do not threaten coal's rising fortunes, since the new renewable capacity being added each year is typically not enough to meet fully just the annual global increase in energy demand. That is true even in the United States, where increases in energy demand are much more modest than in Asia and the developing world. What are the top 3 public health threats from energy production and consumption? The top 2 are breathing soot from burning coal and oil that kills 2 million per year around the world and eating fish contaminated with mercury as a result again of coal burning. One out of 6 American women have mercury levels that are unsafe and can affect fetal development. Another major threat to human health from energy production gets virtually no attention today from media and others and that's Black Lung disease, a terrible illness that sickens and slowly suffocates many miners who breathe coal dust on the job. Indeed, Black Lung disease is back, though it never went away, and the numbers are shocking. Since 1968, Black Lung disease has shortened the lives of 76,000 miners just in the USA. That's right--76,000 on-the-job deaths attributable to Black Lung disease over the last 45 years. In the USA, no other source of energy--oil, gas, renewable energy, nuclear--comes close to the on-the-job illness and death suffered by miners of coal. To make matters worse, Black Lung disease is increasing once again. It strikes between 2% and 3% of all miners and as many as 9% of miners in parts of Kentucky, where dust controls in mines have been awful in too many cases. If you want to buy clean electricity, please visit: www.choosepawind.com. Germany does lead the world both in installed solar generation and in closing nuclear plants. The closure of nuclear plants means Germany needs base-load generation that operates during all hours. And so new coal plants are surging in Germany--10 plants totaling 11,000 megawatts. Why is Germany investing so heavily in new coal plants and not natural gas units? There is no shale gas in Europe and so natural gas is expensive there. In fact, gas regularly costs about $10 for a thousand cubic feet across Europe, while last week gas cost about $3.30 in the United States. The carbon pollution from the 11,000 megawatts of new coal plants will be about two-times greater than had the plants run on natural gas. And the German plunge into coal reminds that coal generation remains King around the world, despite the challenge to it by natural gas in the USA. Indeed, the challenge to coal by natural gas in the USA is almost unique in the world, and so coal continues to gain global energy market share. Far too little attention is being paid to the stunning price tag of Duke Energy's cancelled nuclear plants in Florida and what it means for nuclear power in the USA. Before Duke Energy pulled the plug, the Florida nuclear units had reached a price tag of $24.7 billion for 2,200 megawatts. That works out to an astonishing $11 per watt or 11 times the construction cost of gas plants and nearly 6 times the construction costs of wind or solar farms. Today, new wind costs less than $2 per watt and has low production costs once built. Even though wind farms have lower capacity factors than nuclear plants, the levelized cost of energy from a wind farm that will have zero fuel costs will be substantially lower than that of a nuclear plant with a $11 per watt construction cost. Compared to Levy plants cost of $24.7 billion for 2200 megawatts, wind farms would produce electricity at one-quarter to one-third of the cost. The Levy plants show again that now nuclear is a much more expensive source of zero-carbon electricity than on-shore wind. How do solar and natural gas construction costs compare to the Florida nukes just cancelled? Large solar projects can be built also for less $2 per watt and have the lowest production costs of any power source. Natural gas plants can be built for less than $1 per watt but have higher production costs, since the fuel is not free and require a significant work force. Yet, the $24.7 billion cost of the 2,200 megwatts of nuclear plant would have paid for more than 24,700 megawatts of natural gas plants. The price tag of the cancelled Florida nukes signal powerfully the end of nuclear power in the USA. The nuclear industry is heading toward higher, not lower, capital costs, with the Florida plants reaching astronomical capital costs, at a time when gas, wind, and solar are driving down their construction costs. That is a sure economic recipe for the end of nuclear power in the USA. Indeed, given the price tag of Duke's Florida nukes, only a large carbon price could make nuclear power remotely economic. And even then nuclear power would still struggle to make economic sense. Wind keeps racking up big stats. Wind generates 25% of Iowa's power! Three states--Iowa, Kansas, and South Dakota--get 20% or more of their power from wind. Incredibly, wind in 9 states will produce 12% or more of their power. All those facts and more are from the United States Department of Energy in its 2012 Wind Market Report. Texas and California rank 1 and 2 in total installed wind capacity, with Texas doubling second place California. Our two most populous states will soon get 10% of their power from wind. What is driving wind to new records more than anything in the US and around the world? Falling costs, below $2 per watt in the USA to build a wind farm, and improving production are making wind competitive with fossil fueled electricity in more and more locations. Another advantage for wind is its almost fixed cost of production over 25 years of operation. Just about all the costs of wind are the initial capital and construction costs, because the fuel is free as well as zero pollution. Though wind has its critics, the zero pollution quality of wind continues to make it popular with citizens and voters. On the strengths of strong economics and popular support, wind marches forward. Quite amazingly, it will soon provide 5% of America's total power and generate 10% of America's power in about 10 years. To reach those big numbers, wind has and must continue to grow rapidly. Yet, despite wind's rapid growth, it takes about a decade for wind to gain about 5 percentage points of the huge electricity market. And so wind's success also reminds just how long it takes to shift even 10% of the enormous power consumption of the United States. In California, mainly Democratic legislators, regulators, and utility executives forced residential, commercial and industrial customers to pay $1.5 billion for a solar plant years before it was due to begin operations, then cancelled the project without it generating one kilowatt-hour, and brazenly refused to refund the $1.5 billion to customers. What would have been the reaction of the Wall Street Journal, Fox News, and the like had the Duke Energy nuke rip-off in Florida involved solar and had been sanctioned by Jerry Brown and the Democratic Legislature of California? The Duke Energy $1.5 billion nuclear ripoff wastes 3-times as much money as Solyndra, but the reaction to it draws no breathless coverage or Congressional hearings! For years, the political right coddled nuclear, even though it is only built by state-sanctioned monopolists and governments themselves. The right's love of nuclear is irrational, born of the tribal impulse to love what the left hates. And because so many environmentalists (but not all) hate nuclear, the right loves it, excusing even nuclear's worst excesses like the Florida fiasco. Another reason why the critics of Solyndra are so silent about the Florida nuke debacle may be simple partisanship. The Sunshine state is run by Republicans from top to bottom. and so the Duke Energy rip-off is embarrassing to conservative media. By contrast, Solyndra could be used to attack President Obama, involved solar (much of the right loves to hate it), and so was doubly enticing to Fox and the Wall Street Journal editorial writers. No matter the reaction, the Florida pillage of consumers is the biggest consumer rip-off of 2013 so far and it will be hard to beat. Just possibly, stopping what is killing bees is something about which even Republicans and Democrats in Congress could agree. After all, no matter one's politics, we all need to eat, and eating becomes difficult without bees. Congressional dysfunction, however, is so bad that I wonder whether Congress could enact even clearly needed remedies to save bees. Something nasty and mysterious is exterminating bees and putting bees and us, including those humans in Congress, in real trouble. Indeed, Colony Collapse Disorder has destroyed 10 million beehives in 6 years. So, what's killing the bees and threatening our food supply? "Suspects have included pesticides, disease-bearing parasites and poor nutrition. But in a first-of-its-kind study published today in the journal PLOS ONE, scientists at the University of Maryland and the US Department of Agriculture have identified a witch’s brew of pesticides and fungicides contaminating pollen that bees collect to feed their hives." A parasite called Nosema Ceranae and pesticides that weaken bees ability to withstand the parasite are now the leading suspect. The bad news is that this latest research does not identify just one pesticide as the problem but suggests a "brew" of pesticides that combine with the parasite is devastating bee colonies. Solving Colony Collapse Disorder, therefore, is going to be more difficult than removing one pesticide from the environment. But solve it we must, if we want to protect agriculture and keep eating. "Coal is the dirtiest fossil fuel we’ve got. BTU to BTU, we get more pollution from coal than from petroleum and way more than from natural gas. Most of the pollution goes up in smoke, so to speak. It’s emitted as gas (carbon dioxide, mercury, sulfur dioxide and nitrogen oxides) or as fine particles that find their way up through the smokestack and into the atmosphere." Chameides has previously written about the impacts from gas development. And he is not, nor am I, suggesting that gas production has no impacts. It does and must be strongly regulated to reduce its impacts on air, land, and water. Yet, Chameides knows that the comparative impacts of coal, oil, and gas on land, air, and water are not equal. Those seeking truth cannot ignore these energy facts. Ripoff. Theft. No single word captures adequately this injustice. It is the biggest consumer ripoff in at least 2013! Last week, Duke Energy quietly pulled the plug on its Levy nuclear plant in Florida. The plant had been in development for years, and ratepayers have already paid $1.5 billion. That's a lot of money paid in utility bills by small businesses and social security retirees. For their $1.5 billion dollars, these consumers got exactly nothing--not one kilowatt-hour of production. But you may think refunds will be paid to make things right. The utility itself would want to do that to protect its reputation. And if the utility would not refund, then surely utility regulators would compel the utility to do so. Actually no. Not in this game of monopoly! In this game of monopoly, the utility executives, the state regulators, and the legislators are all on the same side and they wrote the rules. Under Florida monopoly rules, customers are compelled to pay billions even before the plant runs and no refunds are paid if the plant does not run. While customers scream, aided and abetted by state officials, the Sunshine state utility executives laugh all the way to the bank and to their paychecks and stock options. To make matters worse, these monopoly rules are found not just in Florida but also in Georgia but not in Pennsylvania. In Pennsylvania, I led the successful effort in 1996 to end the generation monopoly and replace that rip-off law with competition. In Pennsylvania, any company or individual can build a power plant, connect to the grid, and sell its electricity to any electricity customer. Investors in power plants take the risks and rewards from their generation investment successes and failures. In Pennsylvania, if an investor invests $1.5 billion in a plant that does not run, the investor loses. And the investor does not get that $1.5 billion in the first place by taking that money from utility customers for years even before the plant produces its first kilowatt-hour. Florida and Georgia should scrap their monopoly rip-off rules and follow Pennsylvania's lead! But the utility elites in those states know that competition is hard, and they got their lawmakers well trained. Shamefully lawmakers in the Sunshine and Peach states are willing to protect those elites, even to the point of stealing from the bill-paying public. For long periods the residents living near a pile of pet coke piled up in Detroit have complained about soot invading homes. Take a look at the video in this stunning video to see what they breathe. The Pet Coke from this pile is also being combusted to make electricity at a power plant in Canada. Soot from the burning of mostly coal and diesel causes 34,000 premature deaths per year just in the USA and 2 million around the world. Natural gas has impacts on the environment, but it emits no soot when combusted and saves lives when it displaces coal and diesel or pet coke. Coming to grips with the strengths and weaknesses of our energy choices is an uncomfortable exercise. Reducing methane leakage should be an objective about which climate hawks and the natural gas industry should agree. Climate hawks and the gas industry, therefore, should pay attention to an announcement made last week by Senator Wyden, the Chairman of the Senate's Energy and Natural Resources. Wyden announced support for legislation reducing methane leakage rates from the gas industry to 1%. Here is why climate hawks should embrace the Wyden effort. Using gas instead of coal to make electricity has substantial immediate and long-term carbon reduction benefits when emissions are below 3.2%. Using natural gas instead of gasoline to power cars has immediate and long-term carbon benefits when methane leakage rates are below 1.6%. Using gas instead of diesel in heavy duty trucks has immediate and long-term climate benefits when methane leakage rates are below 1%. The nuance in the data in the linked to study is the difference between immediate and long-term climate benefits. Because the potency of methane as a heat trapping gas degrades substantially within 15 years, leakage rates can be considerably higher than the above percentages and still produce a long-term (100 years) climate benefit. But to have both an immediate and long-term climate benefit, leakage rates must meet the levels stated in the proceeding paragraph. In its 2013 report, EPA places current leakage rates at approximately 1.5%. Consequently, burning gas instead of coal to generate electricity produces substantial immediate and long-term climate benefits. Using CNG in most vehicles does the same. But further reductions in leakage rate will be needed for gas in heavy duty trucks to produce carbon benefits in all time periods. The reaction by the gas industry to the Wyden initiative will be interesting, even telling. For multiple reasons, including the need to improve its public standing, the industry should genuinely and completely embrace it. Those concerned about climate change should do the same. The price of natural gas impacts heavily the 51% of households who use gas to heat homes and the many businesses that use natural gas as a feed stock. But even if consumers do not directly buy and use natural gas, consumers energy costs are substantially determined by the price of natural gas. Why? "Average on-peak, day-ahead wholesale electricity prices rose in every region of the Lower 48 states in first-half 2013 compared to first-half 2012. The most important factor was the rise in the price of natural gas (the marginal fuel for generation in much of the nation) in 2013 compared to 10-year lows in April 2012. However, the increase in power prices was not uniform across electric markets as regional natural gas supply issues drove larger increases in the Northeast and Pacific Northwest." In just about every market, the marginal power plant that establishes the market clearing price in most hours of every day is a natural gas power plant. And that natural gas power plant bids a price into the market that is based on its fuel cost. When the price of gas goes up, the plant submits a higher bid into the power market, and market clearing prices typically reflect that higher bid. As a result of the key role natural gas plants play in wholesale electricity markets, whether consumers use gas directly or not, the pocket books of all consumers are significantly impacted by the price of natural gas. Like it or not, that is an energy fact. The report of coal-fired electricity generation's death remains exaggerated. Coal produces 40% of America's power, has gained market share at the expense of natural gas in 2013, and 3 new coal plants opened in the first half of 2013 that totaled 1,569 megawatts. Though the new coal capacity is considerably less than all the additional wind and solar of all types built in the first half of 2013, the coal plants will generate more electricity as a result of their higher capacity factor. The coal plants will operate in most hours of the year near maximum output. While wind farms produce some electricity in most hours of the year, they rarely operate at maximum output. For wind to produce as much electricity as the 1,569 megawatts of new coal, about 4,500 megawatts of wind would be required. Wind has often installed that much or more in the course of a year, but had a soft first 6 months of 2013, when 959 megawatts was installed. For solar to match the production of 1,569 megawatts of new coal, approximately 7,500 megawatts of new solar would be needed. Solar has never done that in one year but will soon. At this point, a total of 10,000 megawatts of solar operates across America after 5 years of booming solar installations. Through 2020, three variables will determine substantially whether or not coal maintain's an electricity generation market share near 40% and not one of them is the EPA air toxic rule. The most important single factor will be the price of natural gas. Low-priced gas cut coal's market share to 32% in April 2012. It could do it again. The second and third variables are the wholesale price of electricity that again is largely a function of the price of gas and whether coal plants win or lose annual capacity auctions in the PJM power pool. While coal is under competitive threat from natural gas, higher gas prices lessen that threat. And though the stress is real on coal, new coal plants came on line in 2012 and continue to so in 2013. While America gets 40% of its electricity from coal, the 6 New England states use coal for just 3%. While nearly off coal entirely, New England is not leading the way with renewables. All renewables provide it just 9% of its power, compared to 14% nationally. So since its not coal or renewables, what is powering New England? New England relies on gas for about 50% and nuclear for 35% of its electricity, or about two times more than America relies on gas and nukes. New England is a natural gas and nuclear power region, while California is a natural gas and renewable energy powerhouse. The combination of nuclear, hydro, and renewable energy means that New England gets about 45% of its power from zero carbon sources. By comparison, America gets about 33% of its power from zero carbon power. New England's larger zero carbon power percentage is because it gets 35% of its electricity from nuclear power, while America gets just 19%. Thanks to Seth Kaplan for the New England power facts in the link.